3 in 1 iDeal Silicone Sponge Scrubs, Scrapes, Squeegees For Cleaning Brush Built with Soap Dispenser for your HouseHold Cleaning. 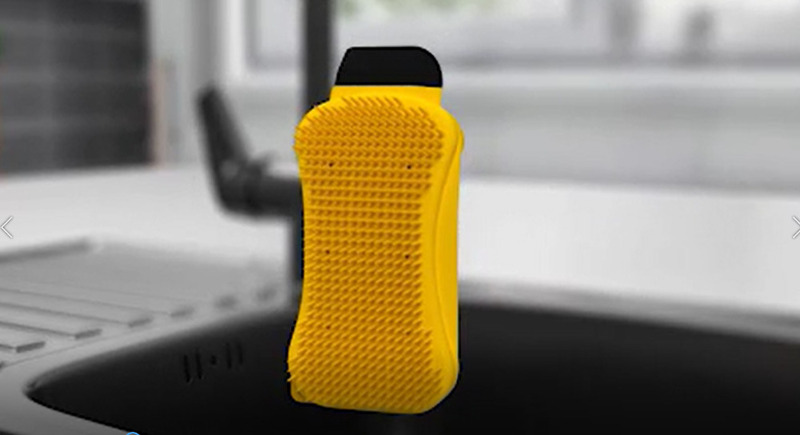 GREAT DESIGN: It Is the incredible 3-in-1 silicone sponge that combines a scrubber, scraper, and squeegee all in one. 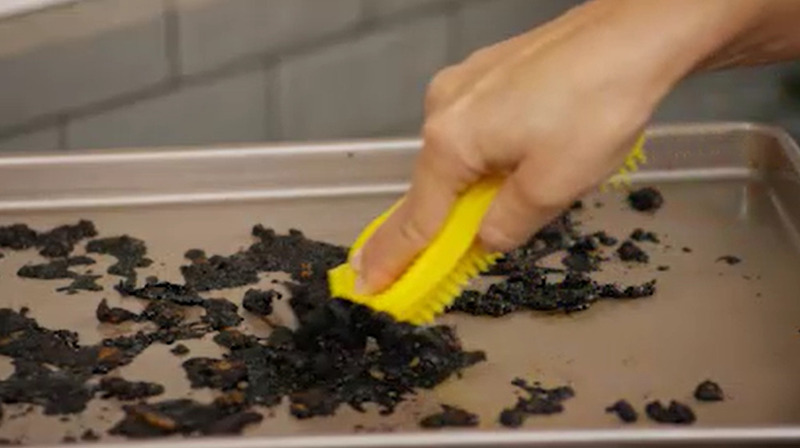 NEW FEATURE: A black nylon scraper is also attached to the end of each one, and the tight seal on each will make it a great squeegee for cleaning plates, countertops or sinks. MULTIPLE USE: This Magic Cleaning Brush can be used for kitchen, washing dishes, cleaning the bathroom, cleaning the bed room, removing wardrobe dust, care for pet hair, and washing the car. 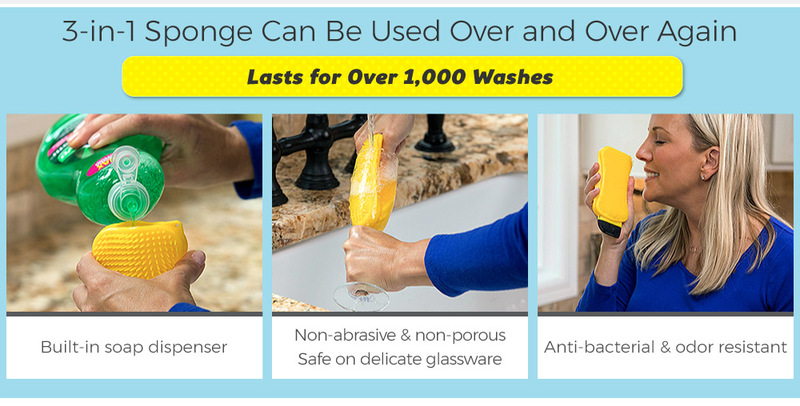 Got rid of the smelly kitchen sponge and now have a superior cleaning, odor free, non-scratch kitchen go-to item. 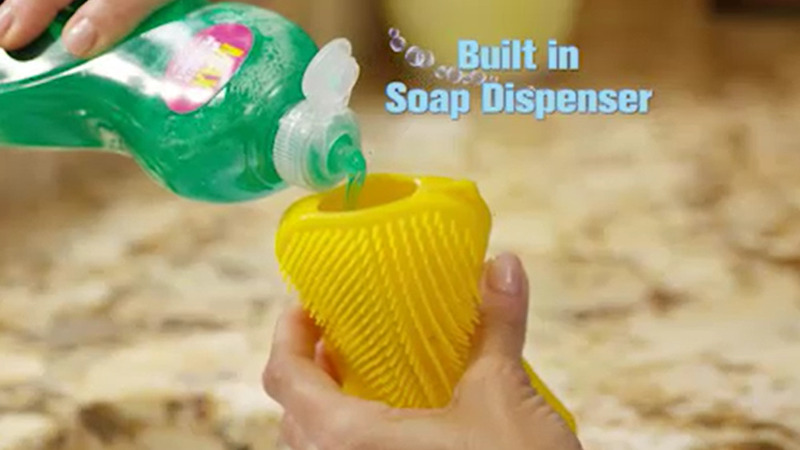 The only thing you'll need for washing your dishes. I love this! It solved my greatest problem-my cat used to EAT my dish cloths because he could smell the food on them. He has no interest in these! Game changer!!!! 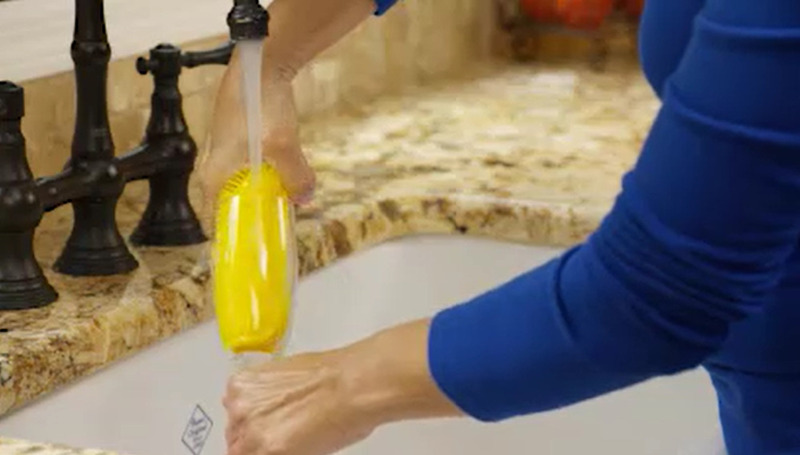 Never going back to the sponge again! This product is a fantastic alternative and cleans/lathers just as well. I just used it tonight on the dishes and wow never going to buy anything else. With a little dawn dish soap and dishes get done with little effort. Thanks! The number one reason I love this dish cloth is it does NOT smell. I've tried dozens of dish cloths and they all STINK even after cleaning them. I've wasted so much money until now. I really LOVE this product It cleans very well and doesn't scratch my pots and pans. Recommending to all my friends. 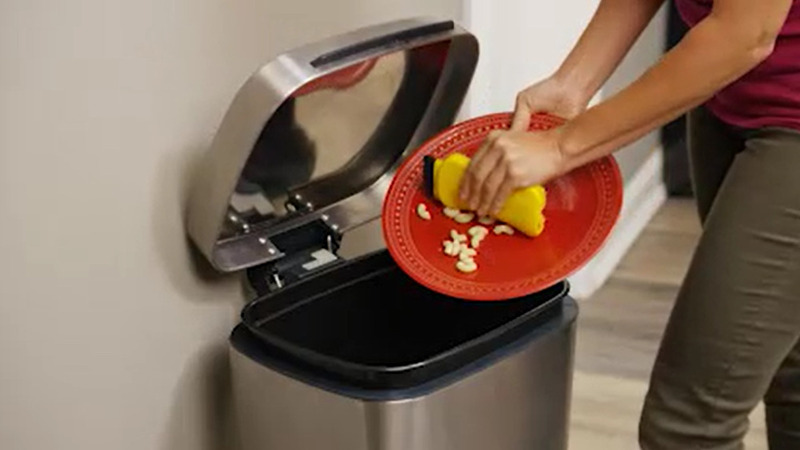 Very practical, easy on your hands, and efficient on dishes, cups, and pans. 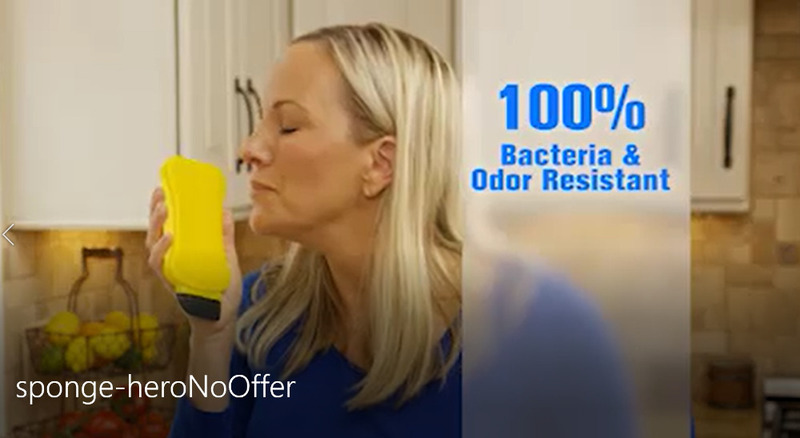 I truly have not smelled any odors coming from the scrubber. It's truly a great product. Fast and good delivery. Fantastic product! I'll be ordering more and recommending to friends! Everything came off with ease and minimal effort. Easy and safe to use. They work wonderfully well without scratching my plates and pans. Great product for a good price, love that it is odor resistant and cleans better than ordinary sponges. Great help in the kitchen. A great value especially compared to pricey brands and far more effective. Thank you! It really is the ideal sponge. It cleans really well, and I used it not just for regular dishes but for cleaning the stove and everything that needs cleaning and scrubbing. I've been looking for something like this for years and this product did not disappoint! Good quality and order was easy and fast. Definitely recommend this to all. I ordered three just in case and had no regrets! Quality is great and it does what it says on the ads. Been doing a lot of baking and I'd get all kinds of stain on my kitchenware after so this sponge really helped a lot, making my life easier. Thank you for the fast delivery. My new favorite kitchen helper! So happy with this item, delivery was fast and I used it right away. Glad I ordered it.